One of my favorite things about traveling (or, umm, life in general) is stuffing my greedy little face with new delicious things. I’ve been a vegetarian for 18 years, so my international gastronomic experiments are usually a bit limited, but can we talk about some of the best ones? Good, I thought so. Vietnam: Bun ChayThe first time I ate this was in Hue, Vietnam when my friend and wandered off the proverbial beaten path and into a broken down bar along ‘The Perfume River.’ We sat in plastic chairs in the shade, drank frighteningly strong coffee and nibbled on this: a fantastic salad of cold rice noodles, bean sprouts, pickled jicama and carrots, peanut sauce and fried tofu. My mouth is filling with saliva as I write that. Yuuummmmmmdroooollll. Here’s a recipe for bun chay if you’re keen to play along at home. 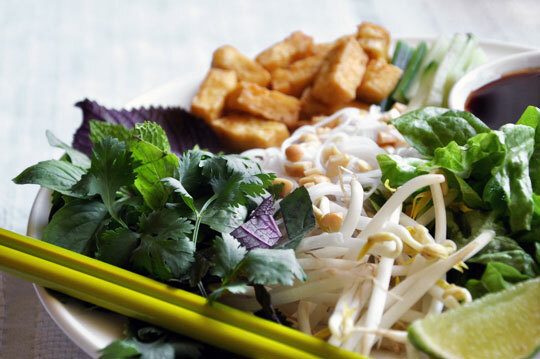 Or, if you live in the Twin Cities, hit up Trieu Chau for the best Vietnamese this side of the Mekong. New Zealand: PavlovaLight, sweet, kind of a pain to make. But who cares? I will very happily whip egg whites till my arm falls plum off if it means eating a slice of New Zealand’s national dessert topped with whip cream and some passion fruit. Or some deliciously under ripe kiwis. Or strawberries. You can try your hand it at, following this recipe. Taiwan: Stinky TofuWhen I first smelled the Stinky Tofu vendor outside of my apartment in Chung Li, I was fairly sure that a sewer had overflowed. Or that a dead body was about to be discovered. Or a dead body was about to be discovered in an overflowing sewer. However! As bad as it smells, that’s as good as it tastes. Fact. Don’t let that wimpy Andrew Zimmerman tell you otherwise. I used to buy a carton of these fried tofu cubes topped with sri racha and pickled vegetables from a street vendor every day for dinner. That is, until my students started pointedly asking me what I’d been eating. Awkward. 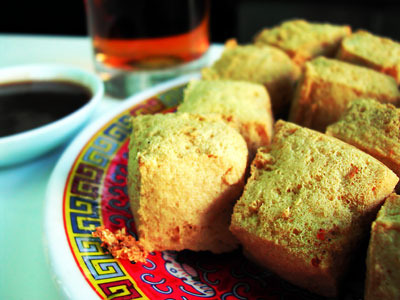 If you’re feeling adventurous, here’s a recipe for stinky tofu that you can make yourself! It’s only a matter of time till someone starts selling these amazing crepe/onion/egg/burrito hybrids and becomes a millionaire overnight. Imagine at an onion laced burrito (made with rice flour), a thin layer of scrambled egg, your choice of bacon, cheese or onions and an unidentified brown sauce.And now imagine that they cook it in front of you in 30 seconds and you can buy two, plus a latte for $1.50. And then you can eat it on your Hello Kitty scooter. Awesome, right? This recipe tells you how. When I was teaching in Brazil, my daily walk to work passed by the world’s most adorable bakery. Coffee and warm, cheesy, carb-y goodness became part of my daily routine. Finish class, eat three pao de queijo, sit on the balcony overlooking the park, drink a coffee that would keep me up long enough to make calls home late into the night. Lovely!I can’t wait to try to make my own with this recipe. I’m still not sure how I was able to leave Greece under my own leg power. I rather expected that someone would have to roll me over the border. So much amazing food around every corner. Moussaka! Various tapenades! Ouzo! 8 million different cheeses! My travel journal from my month in Greece mostly consists of detailed analysis of my meals. Well, that and my increasingly awesome tan.Greek Yogurt makes an amazing breakfast – and obviously no recipe required (Greek yogurt + fruit + honey + walnuts). For a long time I felt like it was too decedent for weekday breakfasting, but lately? I’ve been feeling decadent. I am not exaggerating when I tell you that I have had four pieces of avocado toast already today. It’s 3:22 pm as I’m typing this. Maybe this gives you an insight into the depth of my obsession with avo toast. 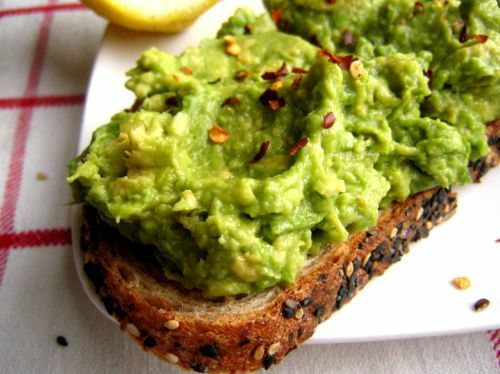 Again, no recipe – just really good toast, plus mashed avocado (usually one fourth of an avocado per slice of bread) and a bit of salt.Of course, avocado is most perfectly paired with The Best Bread In The World, NZ’s own Vogel’s. 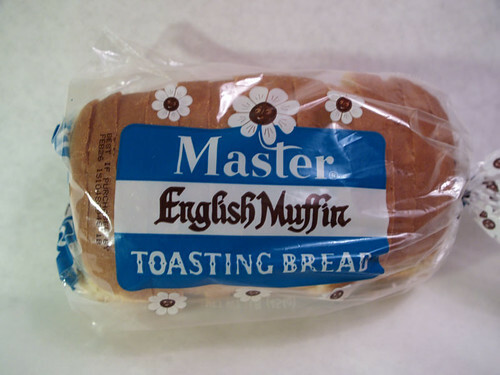 But, if you’re stateside, English Muffin Toasting Bread is a semi-decent stand in. So. good. What treats have you discovered while traveling? So we finally get your opinion on the infamous Pavlova: Australia vs. NZ debate. And . . . NZ!?!? Say it ain't so! You're making me hungry, Ms Von! I almost fainted the first time I smelled stinky tofu in Taoyuan! It was the only time someone gave up their seat on the train to let me sit down, because I looked so pale. And I've been on the hunt for a good dan bing recipe since the day I moved to Halifax. None of the asian grocery stores carry the right kind of 'bing'. Which is unfortunate. Yummy! Thanks for the list of deserts! I am going to the grocery today and will probably make one of these recipes!~ I did however make Pao de Queijo last Christmas and they were a hit! I'm so tempted to make them again and eat like 20 in one sitting!!! I want to try almost everything here! Thanks for this post! Thanks for making me hungry and wanting to cook something new! i'm sensing a theme: lush dairy, dense carbs? 😉 THIS is why you're The Best FF I've known. ahahahah. Oh wow now I'm hungry! I really need to try some more asian-y cooking, it all sounds so nice. oh, dear baby jesus, i read this with 40 minutes left till my lunch break. how dare you. my mouth is watering and my stomach is grumbling. i'm infamously known as one of those people that orders pictured-items off of menus. rumbly in my tumbly. p.s. you think avo toast is good? try adding some diced red onion on top. whoa. Thank you for those wonderful recipes, they all look delicious! 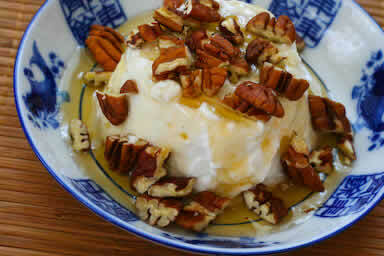 I love Greek yogurt, one of my favorites! And wow, you are brave, I'm half Chinese and I've never even tried stinky tofu before! You've inspired me now. I don't think I'm brave enough to try cooking it because my neighbors will probably kill me, but next time I am in Chinatown I will def try it! My mum is from Brazil, and ever since i can remember she has made brigadeiros, which are similar to braquinhos – just add chocolate and roll in chocolate sprinkles! There are lots of recipes online for those – it's just sweetened cond. milk, cocoa, butter, and sprinkles. 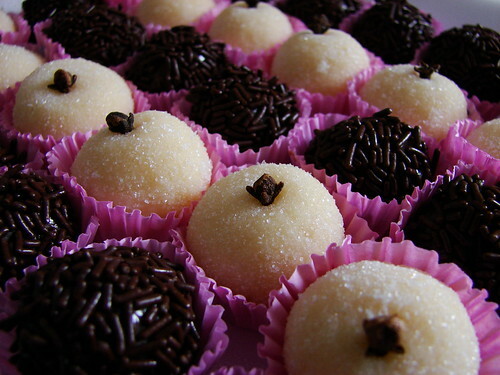 oh my god pão de queijos are my favoritttttte ever. 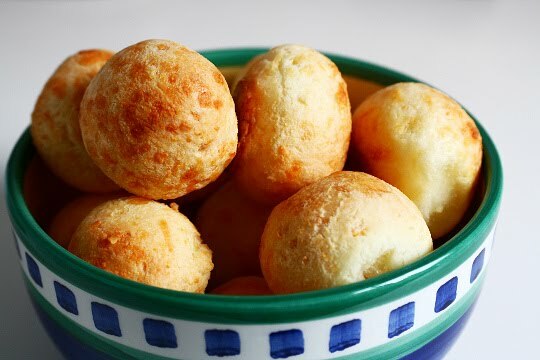 my mother is from brazil too, and she buys the little ones frozen and when i'm over and there's pão de queijo for dinner, we all fight over who gets the last one. favorite study snack (plus guaraná, duh) ever!!!! I am a) so so hungry and b) so so ready to travel. Take your avocado toast to the next level with a slice of tomato. When I was little my mom and I used to eat at this East African restaurant and it was the kids lunch special. mmmm I just had one 10 mins ago. CA avocados rocking my world for 24 1/2 years. Oh I am so with you on the dan bing and the avo toast front. If I ever leave NZ I will have to special order Vogels. Customs? Pffft. I haven't lived in NZ for a few years now and I'm STILL lamenting the loss of Vogels. What makes it worse? I only had a couple years to enjoy in since I'm from Canada! there is a Colombian bakery where I get pandebono and pandequeso which I imagine are very similar to your Pao de Queijo! i love it! so great with coffee. I'm not sure how the Brazilians make it but the ones I get are made from yucca which are so heavenly and filling and perfect with a lightly sweetened coffee to cut through the salty. Oh man, I am ALL OVER that avocado toast. The dessert is believed to have been created to honour the dancer during or after one of her tours to Australia and New Zealand in the 1920s. Where it was created and the nationality of its creator has been a source of argument between the two nations for many years, but research indicates New Zealand as the source. 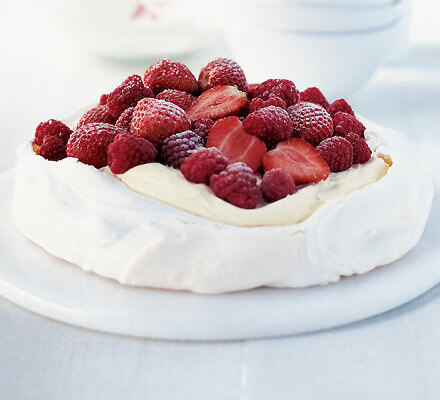 I believe Pavlova was created by a Perth chef for the Russian ballerina Anna Pavlova. AVO TOAST IS SO MUCH NOM NOM NOM! Peace to you Aussie's out there! You can have Russel Crowe and we'll keep the pavs. Ha, you've stumbled into quite the antipodean controversy. I'm in the state library in sydney 'working' but as soon as i'm done typing this i'm running out to find a cafe with pavlova. So. Good. Like eating clouds. Made out of cream and sugar. I am just going to pretend this is part one of this list. You clearly left out several very important foods. There is no mention of savory crepes sold from carts in Paris! Nary a whisper about churros y chocolate in Spain! Nothing about papas ala Huancainya from Peru! My favorite foods are always weird jungle fruits that only have local names, and you can never find again anywhere. I'm studying in Holland right now. 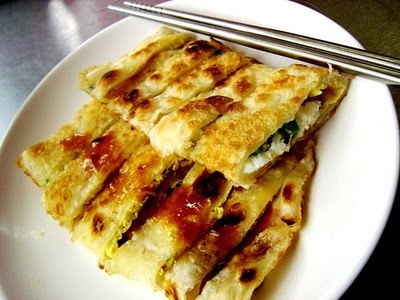 I want some Dan Bing – STAT! I discovered Australian cheddar while living in Sydney short term. It's delicious and I still stock up on it when I find it at my local Trader Joe's. I am off to Cork, Ireland in June so I hope to discover some delicious (and inexpensive) treat there. i have some great recipes for brazilian docinhos if you'd like 🙂 my mom used to make them for our birthday parties and such, so i grew up making them too. I don't think I could eat stinky tofu if it smells as bad as you said it did. I just can't put something in my mouth if the smell is making me gag. What a lovely lovely post! Yum Yum! You should try kiwi berries – do you have them there yet? Mini kiwifruit with no fur – grape sized, a tiny mouthful. So yum! Well, Morocco has awesome mint tea loaded with sugar, and these flaky pancake things that are to die for. There's also this thing called a Moroccan salad, which is essentially fresh, chopped tomatoes, onions, and olives sprinkled with salt and cumin. Of course all vegetarian because I'm veg, too! the Pao de Queijo and pavlova look so good! Born and raised in Aus, but with a kiwi mum, I was practically raised on this stuff. But make it even better and put vegemite on first – omgseriouslyomnomnomforever. We had to make pavlova in culinary school. love meringue. any kind. mmmm.